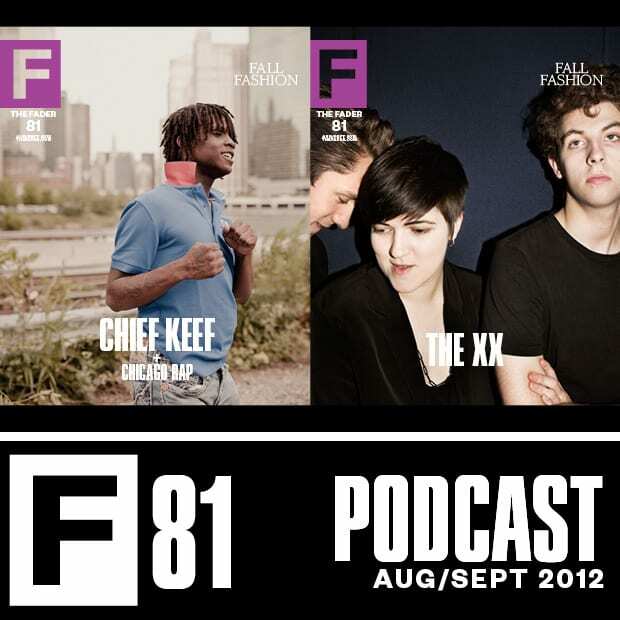 We supplement every issue of The FADER with a podcast showcasing jams from the mag's featured artists; hear Cat Power, Teengirl Fantasy and a slew of Chicago rap tracks by Chief Keef, Katie Got Bandz and King L, the latter of whom we blended into fellow Chicagoan How to Dress Well, which we're hoping they'll both enjoy as much as we do. Download the tracks as a mix below, or buy songs individually on the MyMusicRX app. A percentage of each iTunes purchase made through MyMusicRX benefits the Children’s Cancer Association. Subscribe to our podcast on iTunes or via your favorite RSS reader to get them all. Teengirl Fantasy f. Kelela, "EFX"
Katie Got Bandz, "Ridin Around & We Drillin"
How to Dress Well, "Ocean Floor for Everything"
Chief Keef f. Lil Reese, "I Don't Like"